Dunedin is the launching pad for a new skill-share website; pikaado.com. Pikaado is the creation of two local women Kate Gray and Burcu Cakmak and allows people to list profiles for workshops or experiences. The platform aims to be a new arm to the gig-economy, providing a new income stream for individuals and a marketing channel for small businesses. Pikaado envisions that small businesses and start-ups will utilize the platform to fortify their brand and connect with the local market. “We are speaking to business owners who are either B2C’s or B2B’s who target small local businesses. Pikaado is like a free form of advertising as anyone can post a profile on the site. Workshops also get your target market in the door, and you can use this as a method of increasing your client base” said Ms Gray. “As well as this, people are using the site to test a business idea, to see if there would be a local market in a low risk way. Right now some of our workshops are people’s first steps towards a business” added Ms Cakmak. 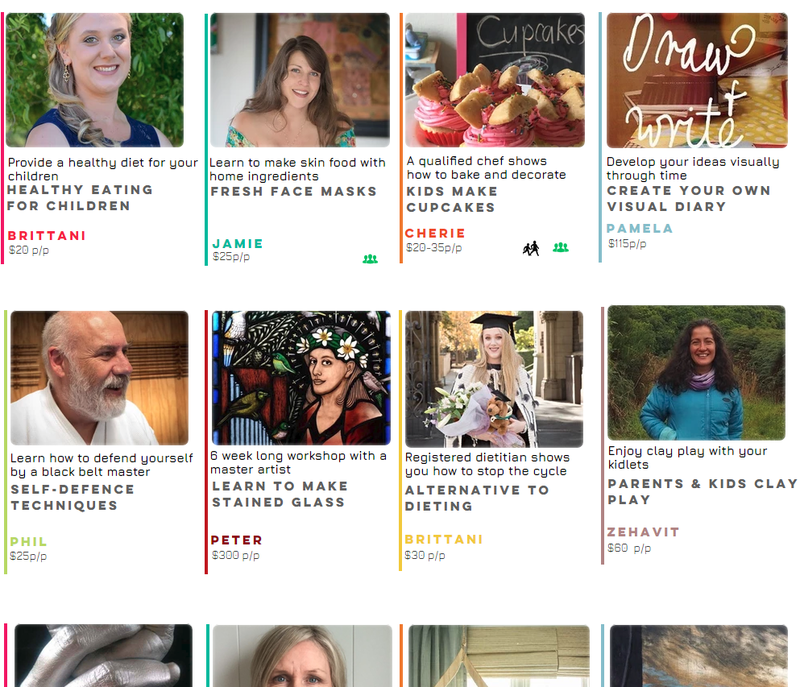 There are nearly 80 different workshops listed on Pikaado at the moment with more being posted every week. There are arts and crafts like stained glass making and printmaking, as well as ethnic food workshops like Turkish street food and Indonesian banana leaf wrapped rice. Gardening and DIY are also popular on the site- but there really is something for everyone- from fly fishing to zombie apocalypse makeovers. Pikaado hopes that Dunedin will embrace the concept, and that through the site there will be more to do around town in a more connected community. Their web address is www.pikaado.com - there is lots on in Dunedin- go and take a look!